With so much on my mind and with the Thursday Rundown still a couple days away, tonight is the perfect time for 10 quick thoughts. 1. Remember how I told you that Sid and I play “Jeopardy” each night and keep a running tally of who has won each game? It is close! At the current moment, I lead 49-45-9 (yes, we have battled to nine ties!). 2. The average price for a Super Bowl ticket on sites such as Stubhub is almost $8,000. Unless I had a family member playing, I would never consider paying even $800 for a ticket to a sporting event. 3. We need to demand better from the mainstream media. The bogus story about President Trump telling Michael Cohen to lie was one thing, but the dishonest coverage of the confrontation at the Lincoln Memorial over the weekend was wrong – we can’t use our youth as pawns to promote a false narrative. 4. The 2019 Celebrity Big Brother cast is stacked and our household looks forward to watching the competition play out. Go Tom Green! 5. In the Northern Hemisphere, they say the third Monday in January (yesterday) is the most depressing day of the year. Although this time of the year is tough for some, I think it is important that we don’t let it get to our heads. I hope you had a great day yesterday and that you try extra hard to make it a productive and happy week. 6. A year ago on this date, Monday Night Raw celebrated its 25th anniversary. Did you know I used to be a HUGE professional wrestling fan? 7. Today is National Blonde Brownie Day and I love nothing more than a homemade, warm blonde brownie. When I was a resident assistant in college, I would order blonde brownies for our floor snacks as many times as possible. 8. One of the recent pieces of advice from my Life’s Little Instructions calendar was Be as polite to the custodian as you are to the chairman of the board. I couldn’t agree more. 9. It is my wife’s birthday week – she was born on January 28. 10. 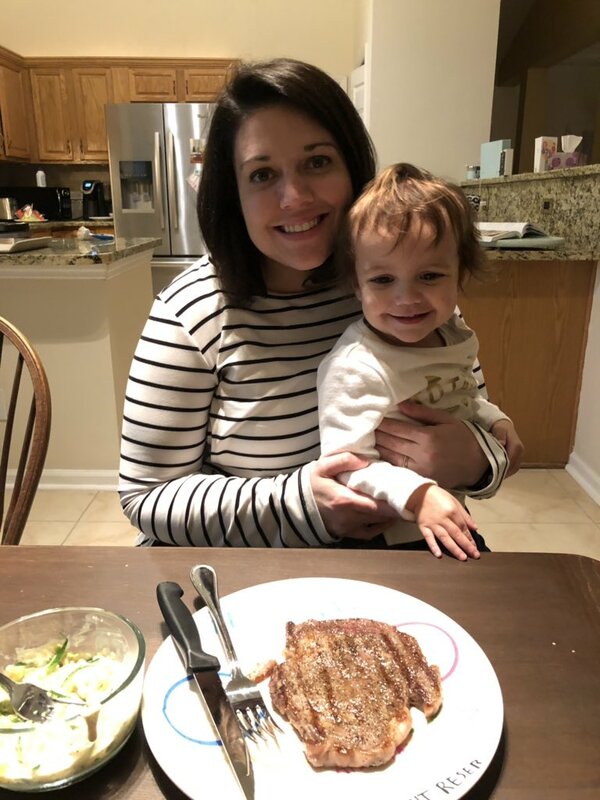 Speaking of my wife, she came home tonight with a beautiful haircut AND made us steaks for dinner! Doesn’t her hair look great?! (Just for clarification sake, I am talking about Sid’s hair). This entry was posted in Uncategorized and tagged Life's Little Instructions, Super Bowl tickets by brent. Bookmark the permalink.